Auto dealerships are susceptible to inventory theft, property damage and other risks, especially with high-valued inventory outside for public display. Stealth’s customized dealership solution is targeted to protect on-site assets as well as act as a valuable management tool. We can watch your perimeter, parking lots, access points, buildings, service lanes and showrooms. Many auto dealerships rely on security guards to monitor their property, but they can be expensive, costing tens of thousands of dollars a month. Additionally, there are other constraining factors involved with guards including inadequate training, limited coverage, as well as a lack of confidence in their ability to do the job they were hired to do. With Stealth’s live video monitoring solution, you get a team of operators to watch your cameras, so you can rest assured that your property is always being watched by trustworthy, trained professionals. Car lots are full of places to hide and are hotspots for theft. Easily movable items such as wheels, catalytic converters and navigation systems can be particularly vulnerable. Our analytics-based cameras can pick up movements in parking lots, alerting operators to look for suspicious activity and make decisions to stop crimes in progress. Customer claims of damage to vehicles when they are in for service or repairs is a common issue. An additional benefit to our solution is the use of Stealth’s video review team, who will check cameras to inspect vehicles for damage as they enter the lot, protecting against claims and potentially avoiding damaging your reputation. We don’t just detect crime. Our cameras have also been proven to increase the productivity of your sales and services teams. Managers often utilize cameras to detect how sales people are moving around the property to interact with customers and manage the efficiency of the service and operational teams. With valuable assets on-site, vandalism can be as common as theft. Security guards are not only costly, they cannot be everywhere at once, and if individuals want to do some damage, it’s almost impossible to spot them at the time. Stealth can track trespassers as they enter and activate voice-down communication that deters vandals. Help maintain a secure environment for customers and employees while minimizing liability and reducing costly guard expenses. We can watch lots, showrooms, service lanes, repair bays and parts storage. Stealth’s Mobile Surveillance Solution was built for rapid deployment and can be mounted on almost any pole or flat surface, to secure even the most challenging sites. Get maximum security and control over who enters your dealership with our customized solution. Manage your building activity and reduce the risk of unauthorized access, vandalism and theft. Sometimes there is a need to watch objects that are far away, but there’s no way to place a camera that close. Stealth’s long-range cameras can be mounted on the roof of a building to reach distances hundreds of feet away and zoom in to capture clear detailed images, including license plates and faces in remote parking lots. Property managers are sometimes tasked with searching through hours of video footage to investigate site issues. Our dedicated review team can search through hours of video footage to investigate any issues you may have during monitoring and non-monitoring hours, including gathering evidence for fraudulent damage claims made by customers when their cars are in for service. Ensure that safety procedures are being followed so you can take appropriate action. In addition, recording and archiving site activities can prove useful when dealing with insurance companies or authorities during incidents such as on-site injury claims and service lane incidents. In addition to securing sites, Stealth’s team is always focused on other ways we can help improve your business processes. For example, our operators can take note of where keys are located or whether doors are left open and lights are turned off. They can then provide you with timely reporting and video evidence, if necessary. 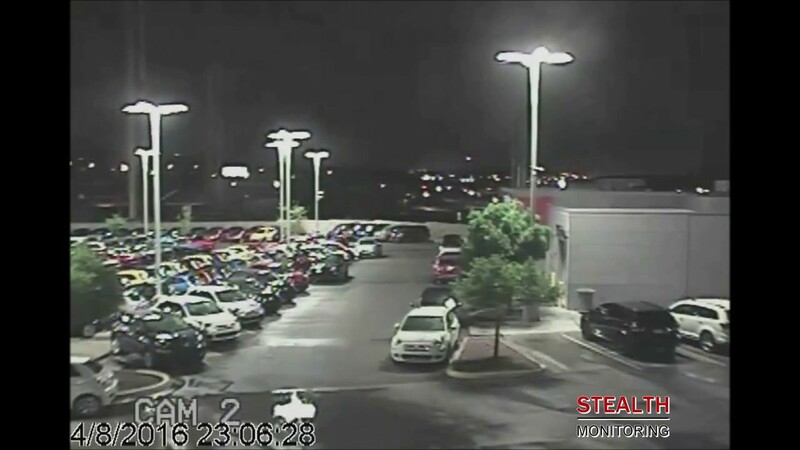 Remote video monitoring allows for cameras to view multiple parts of a dealership at once, from vantage points that may be impossible for guards to access. 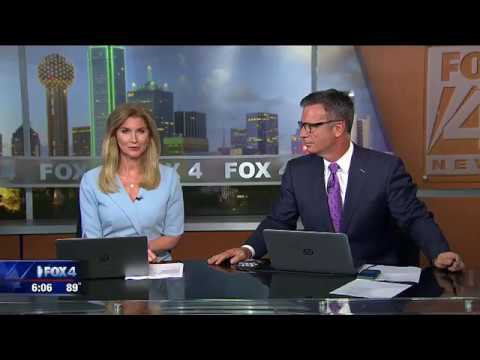 Thieves attempted steal car parts from an El Paso car dealership.